43rd GRAND SUMO TOURNAMENT - FUJI TELEVISION NETWORK, INC. 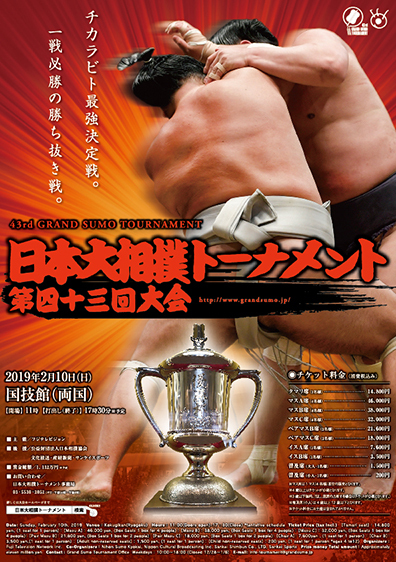 Featuring top sumo wrestlers, this tournament is a "last man standing" competition, in which every sumo wrestler competes against each other and the winner continues to compete until he is defeated! It's going to be an exciting tournament with their pride and honor at stake. ★Please visit the official website for ticket details.